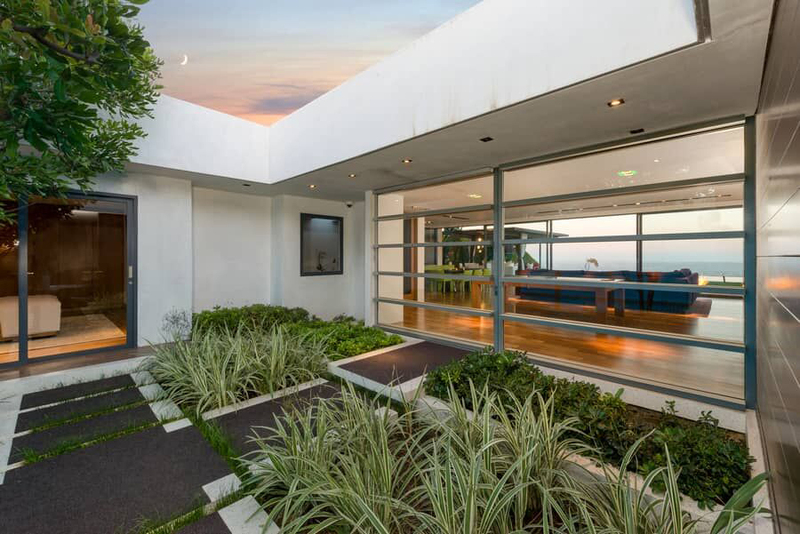 YOUR MAMA’S NOTES: Sitcom staple and budding playwright Matthew Perry hoisted his sleek, city-view contemporary in the Bird Streets neighborhood high above L.A.’s Sunset Strip up for sale on the open market at $13.5 million. Mister Perry, best known for his role as Chandler Bing on the wildly successful and heavily syndicated sitcom “Friends” but more recently seen on the sitcom “The Odd Couple” and on the television mini-series “The Kennedys: Decline and Fall,” hopes to pocket a good-sized fortune on the property that was purchased per property records in August 2011 for $8.5 million. 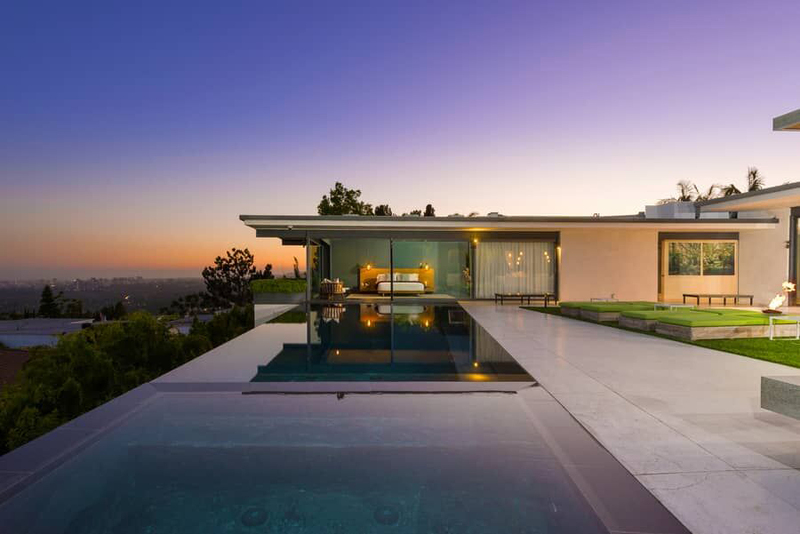 Marketing materials describe the 3,821-square-foot residence, originally built in 1962, as “a modern homage to the Case Study Houses” with “Dazzling views” that on a clear day extend from the downtown skyline to the Pacific Ocean. There are three bedrooms and 4.5 bathrooms. The expansive, open-plan living/dining space, entered through a small, gated courtyard and a massive pivoting glass door, has hardwood floors, a fireplace, copious built-in bookshelves and a high-end kitchen with eye-popping acid green countertops. Vast walls of floor-to-ceiling glass sliders open to a remarkably flat and dramatically outfitted backyard that features numerous fire pits, a reflecting pool, a wee patch of lawn, an outdoor living and dining pavilion and a LED-lit infinity edge swimming pool. 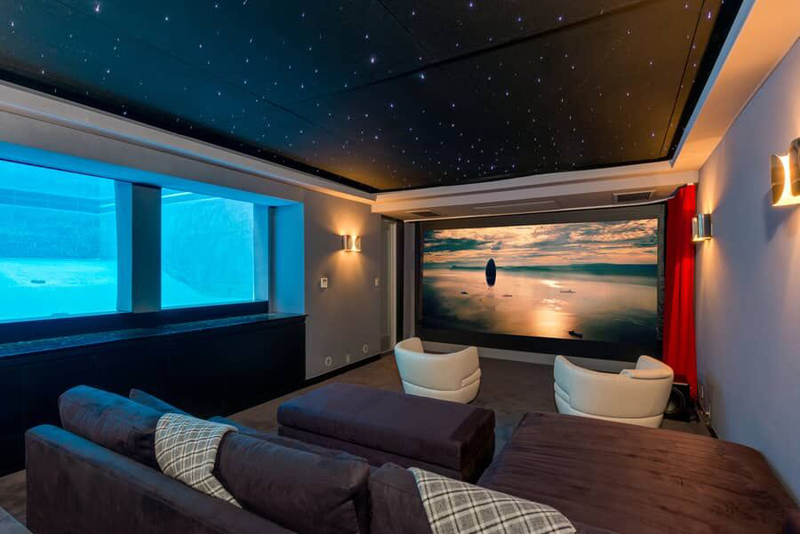 Perhaps the property’s most unique feature, however, is the subterranean screening room tucked discreetly under the master suite with huge, two-inch thick windows that look into the depths of the swimming pool. Like many deep-pocketed Tinseltowners Mister Perry, who wrote and starred in the play “The End of Longing,” which opened in London last year and is currently running off-Broadway at the MCC Theater in New York City, has long maintained a residence in Malibu. 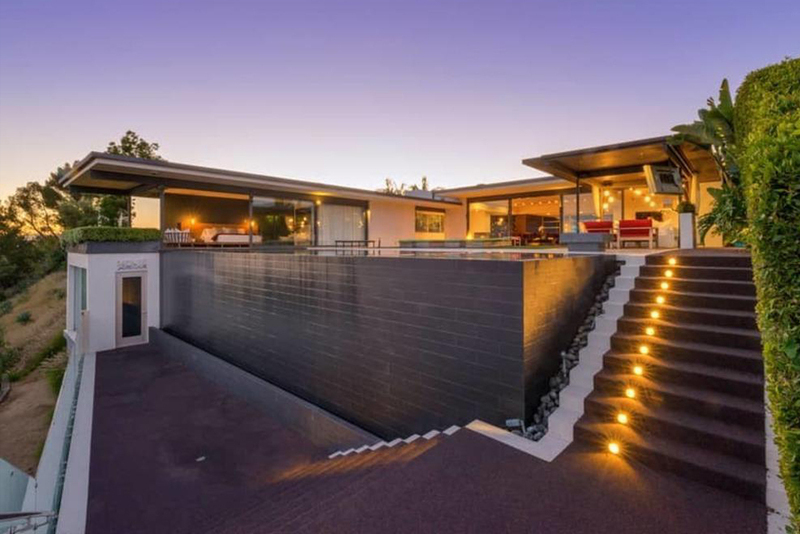 He previously owned a striking, concrete and glass contemporary perched on a hillside directly above the Malibu Pier that he bought in 2005 for $6.55 and sold in early 2015 for $10.65 million and he currently owns a 5,500-square-foot ocean-front home with four-bedrooms and 3.5 bathrooms he scooped up in 2011 for $12 million.